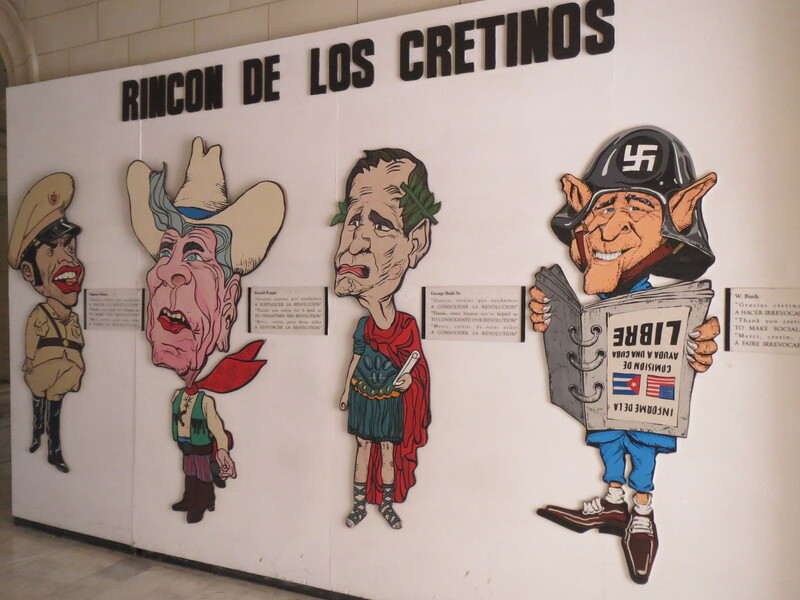 Classic cars, cheap rum, smouldering cigars, revolutionary murals and salacious salsa. Cuba was everything I had expected. 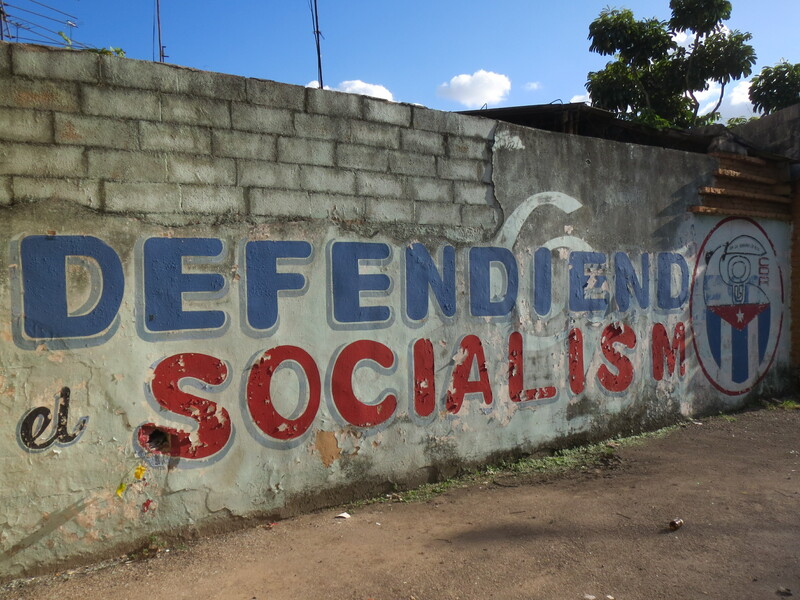 A perfect contrast to the ultra consumerism and dangerous freedom of the United States, this tiny country was a conflicting mix of Caribbean culture, socialist zeal and survivalist spirit. After more than three weeks spent exploring the island, I’m now back home. 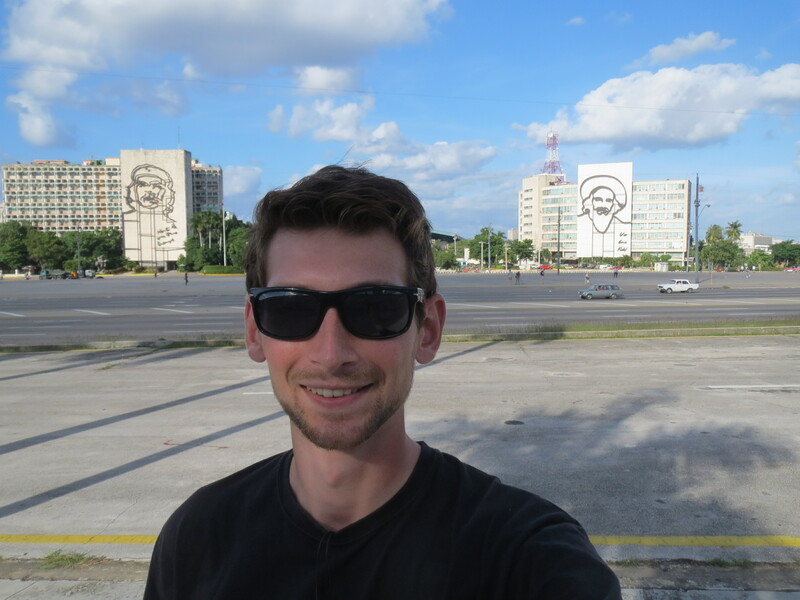 Squeezing everything into one blog post seemed impossible, so this will be the first of two posts about my time in Cuba. 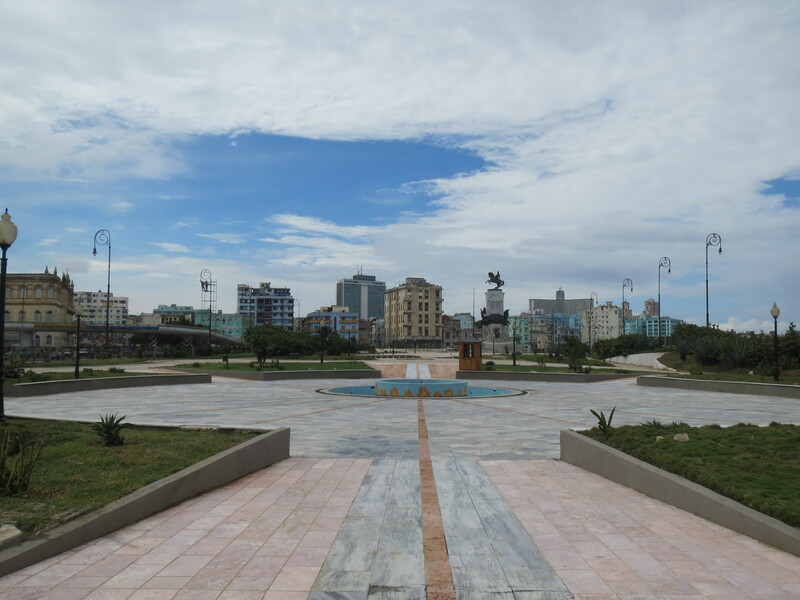 I arrived exhausted, in Havana, and with a manic French woman in tow. During 19 painful hours inside Nassau Airport, I had met Mimi, who was the only other person waiting for the flight to Cuba. Irrationally terrified of the night-time menaces lurking behind the terminal’s sparkling interior, she had quickly refused to leave my side and later told me that I was her ‘saviour’. The one benefit of saving Mimi was that we could share the cost of a taxi from the airport (who says chivalry goes unrewarded?) Thus, I was soon settling in at one of Havana’s few hostels. Shared accommodation is almost unheard of in Cuba, and most tourists stay in casa particulares. 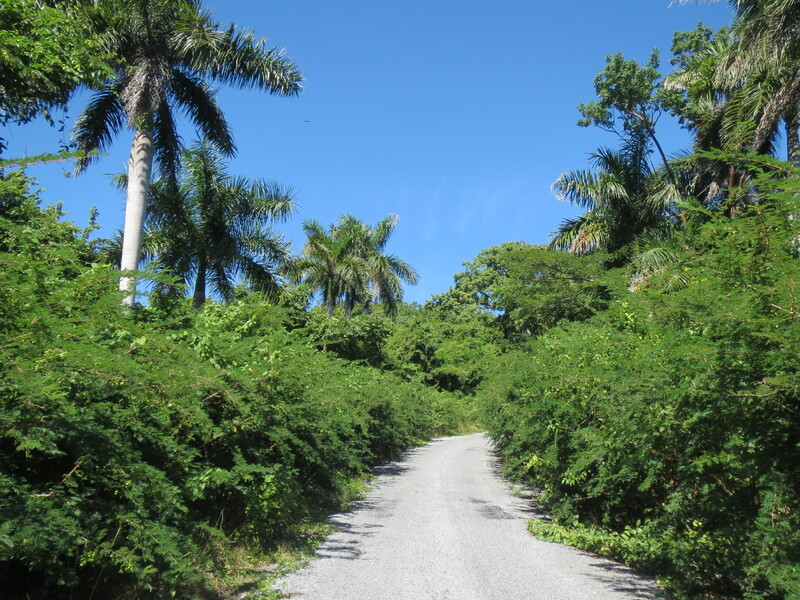 These are Cuban homes with a spare room that can be rented out to foreigners. A comfortable and authentic form of accommodation, these casas are only let down by their lack of other tourists and the accompanying opportunities to socialise. The hostel in Havana was certainly not like this. Before I knew what had hit me, I was drinking mojitos in the dark interior of a Cuban club, accompanied by two Chileans and a Finn. 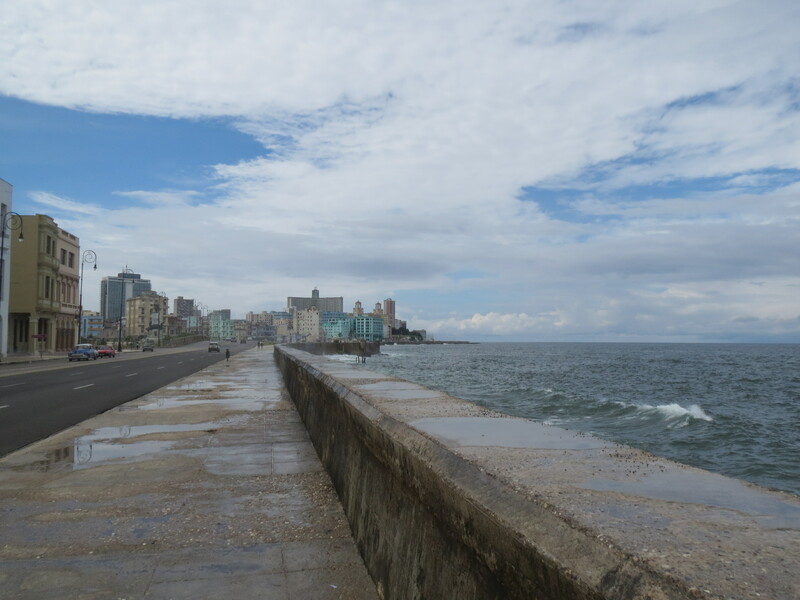 Then, as late night became early morning, we drifted towards Havana’s sea wall, drinking rum, being serenaded by street musicians and watching the city’s ladies of the night totter past. Suffice to say, I wasn’t cycling anywhere after that heady combination of sleep deprivation and Cuban rum. In fact, it took me five days – and a few more late nights – before I could bring myself to leave the comfort of Havana. And this debauched existence was well-earned. Since leaving Missoula in late July, I had cycled more than 9,000 kilometres in a little over three months. Only once, in Charleston, had I spent more than two consecutive days away from the bike. 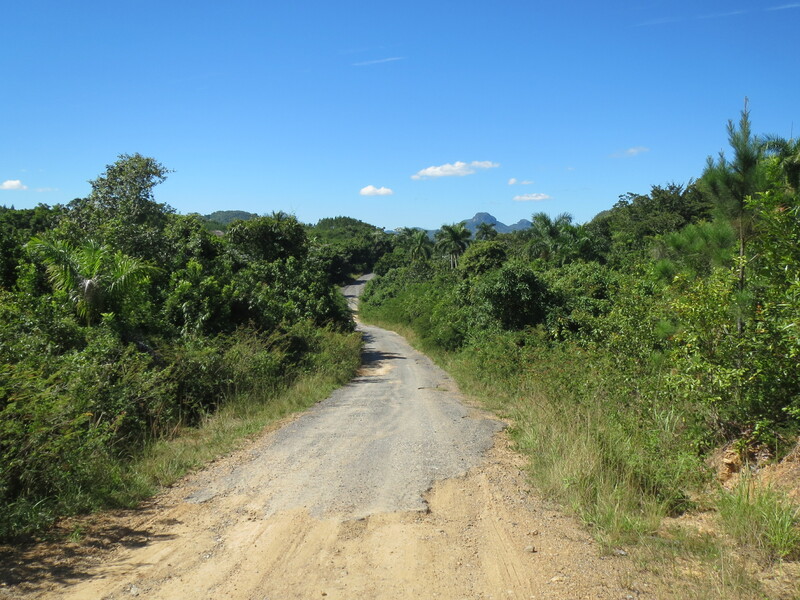 But however powerful my pasty white thighs had now become, nothing in Cuba was going to entice me to cycle at this hectic pace. 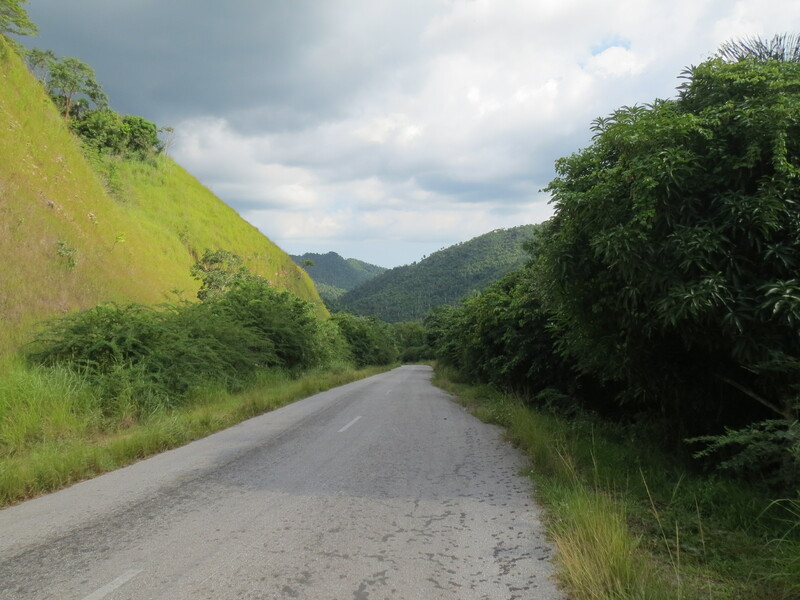 The climate, culture and sights all begged me to be less of a cyclist, and more of a tourist. 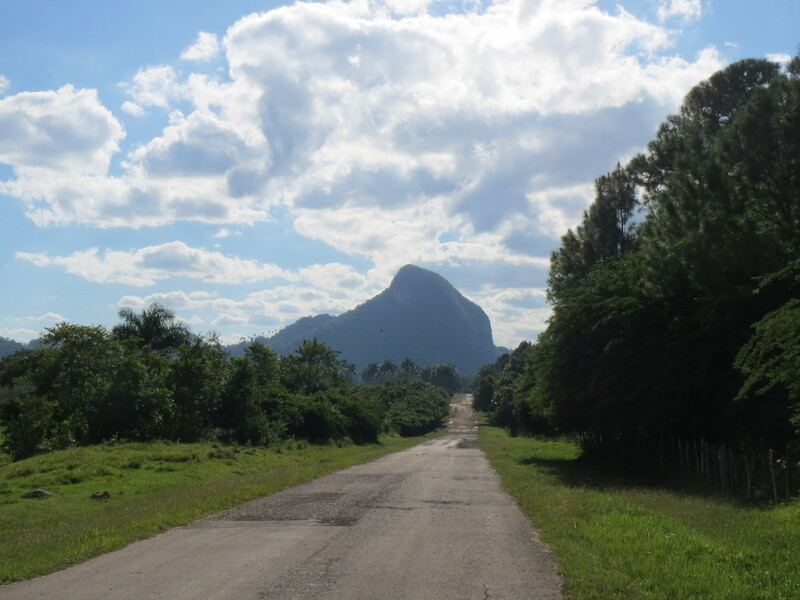 Therefore, when I finally set out, it was for the sleepy village of Viñales, hidden among the jungle landscape of the Pinar del Rio Province. 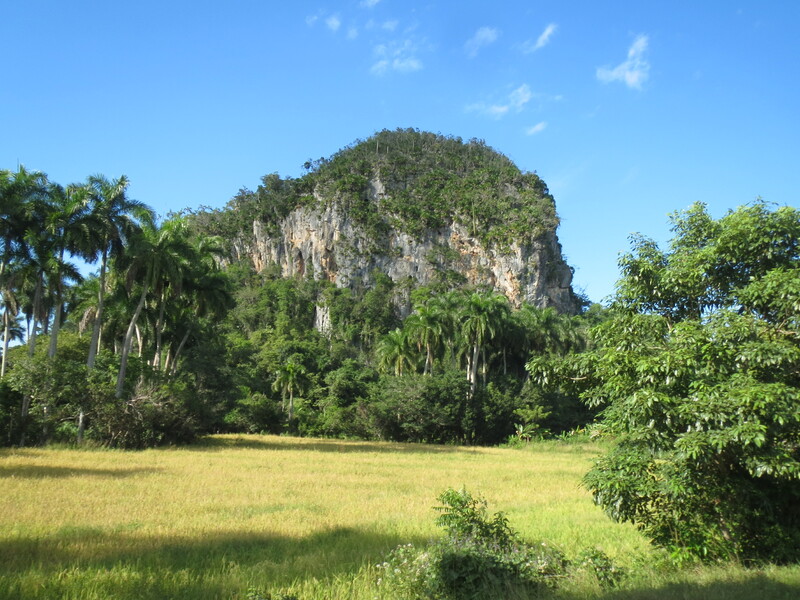 This quiet spot is around two days’ cycle to the west of Havana, and is famous for the towering mogotes, which dominate the landscape. These eroded limestone pillars are unique to the region and stand hundreds of metres above the valley floor. With the wind at my back, I flew along the flat lands that preceded the hills. But soon I was sweating, as I cycled up overgrown lanes that crumbled into sand for long stretches. One road was so unaccustomed to traffic that I sat for twenty minutes, fixing a puncture, in the centre of the cracked asphalt. 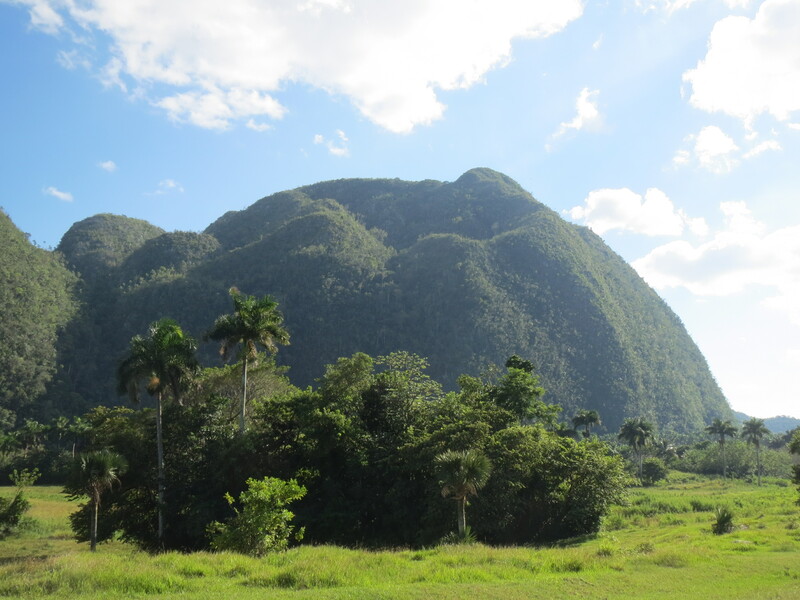 Viñales itself was an oasis of tranquility after the fumes, horns and hustlers of Havana. However, paying the price for succumbing to the temptation of cheap roadside refreshments, I spent much of my time inside my room, nursing a protesting stomach. On my way back to Havana, I stopped in the small town of Bahia Honda, not usually a place frequented by tourists. And it was due to this, that my host, Giovanni, was so keen to entertain me. Instead of rolling into bed and resting my weary body, I found myself in a local bar, drinking cold Cuban lager. All the time, my rusty Spanish was being tested by the barrage of questions that Giovanni threw my way. We covered everything from economics to the Premier League. But things really began to heat up when Giovanni’s girlfriend arrived, accompanied by two friends. Before I knew what was happening, they had decided that I would be taught salsa. I protested, of course. But they could not believe my claims that dancing was beyond the abilities of my lanky limbs. Soon, however, they did believe it. Fortunately, the embarrassment was dulled by the number of beers I had already imbibed. As I tried to move my feet, it felt as if were merely shifting my weight from one to the other and my legs seemed oddly wooden. There was pity in their eyes as they looked at me. Having given it a try, I felt that I could now politely return to my seat. I was wrong. My partner decided that my inability to dance was not going to stop her. Before I knew what was happening, she was writhing and ‘twerking’ in a way the made the Englishman in me blush crimson. Horrified, I practically fled the dance floor. Fortunately, Giovanni found the whole episode hilarious and tactfully suggested that it was time for me to get some sleep. The next morning, I had the chance to chat to Giovanni’s girlfriend over breakfast. After translating some of Adele’s lyrics into Spanish for her, I was presented with an array of prized photographs. They showed her in a number of Italian locations, accompanied by a man at least 20 years her senior. Candidly, she explained that he was her ex-boyfriend and that he had paid for the trip. Even more revealingly, she confessed that the relationship had ended as a result of the global recession. This unashamed blurring of financial and physical relationships seems commonplace in Cuba, where foreigners are seen as a source of unimaginable riches. Knowing that Giovanni’s girlfriend would probably never leave Cuba again, I said goodbye with some sadness and set out for Havana. Soon, I was back among the noises and smells of the big city. Here, I settled down for a few days of well-earned rest, seizing any opportunity to converse in my native tongue, after five tiring days of only speaking Spanish.